It is going to be sad day for California breeders if Lucky leaves the state. I hope that doesn't happen. LOL. Song replaying in my head over and over. Go To The Alter is running June 6th in a 4 1/2 furlong maiden special weight for fillies at Golden Gate. She will be ridden by Frank Alvarado. She is trained by Steven Specht and owned by Mr and Mrs. Larry D. Williams. Lucky Feelin is running June 6th in 4 1/2 furlong maiden special weight for fillies at Golden Gate. She will be ridden by Pedro Terrero. She is r=trained by Gil Matos and owned by M.A. Douzos and Sandra Matos. 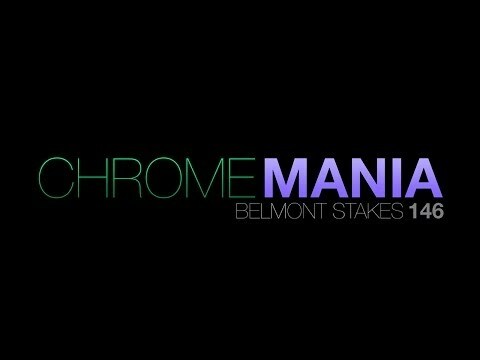 California Chrome is running June 7th in the Belmont Stakes. He will be ridden by Victor Espinoza. He is trained by Art Sherman and owned by Steve Coburn and Perry Martin. Rousing Sermon is running June 8th in the Crystal Water Stakes. He will be ridden by Elvis Trujillo. He is trained by Jerry Hollendorfer and owned by Mr & Mrs. Larry D. Williams. and trying to become the 12th Triple Crown Winner. Harris Farms updated Lucky's stallion page very quickly after each of the first Crown victories. If Junior takes the third Crown I bet that page will be saying "Sire of Triple Crown winner California Chrome" in like a nano-second. Harris Farms and their staff are SO proud of Jr! I loved that video they had of the staff watching one of the victories (can't remember if it was KD or Preakness). How I hope we get to see them weeping for joy after the Belmont. @Especially_Horses. you can count that his website would be updated in a nano second. What better advertisement for a stallion? Thanks for sharing this wonderful article about the TC excitement in a small blue collar community where California Chrome grew up in! So the Belmont didn't work out like many of us had hoped. I'm not discouraged, though. Lucky Pulpit is a relatively young stallion with several progeny of racing note. And years from now they'll be picking through pedigrees and Lucky Pulpit's name will come up. California Chrome brought many racing fans together. He put the spotlight on California racing, his sire, and his dam. Still a win situation either way you look at it. Hope Lucky Pulpit is around for many more breeding seasons. Pulpit's Express is running June 14th in the Shoemaker Mile Stakes. he will be ridden by Drayden Van Dyke. He is trained by John Sadler and owned by Gary or Cecil Barber. 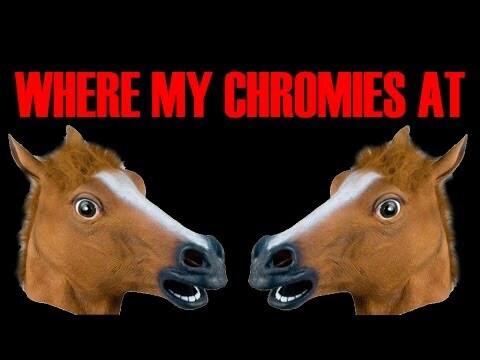 The ChromeMania vid...how crazy is all that?!?!? Bless those horses for keeping their collective 'cool' as best they could.